The brackets have been set and all of the Big Ten teams left dancing will begin seven separate quests to bring home the league’s first National Championship since Michigan State did so in 2000. Before anything approaching that level of success can take place, however, each team must win its First Round game. Here’s a brief look at how all seven Big Ten teams can get past their first opponent. 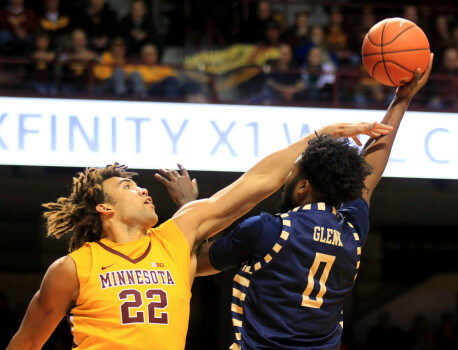 Minnesota: The Gophers have almost no depth now with the season-ending injury to senior wing Akeem Springs, which means Reggie Lynch has to stay on the floor and out of foul trouble. As a result, Minnesota will have to win this game with defense. If Lynch suffers early foul issues, Middle Tennessee and its 54.3 percent eFG rate will be able to score in the paint at will. Northwestern: Northwestern has a dangerous tendency to go through long scoring droughts. For the most part the Wildcats runs their offense well, but when they go cold, they go frigid. This cannot happen against Vanderbilt because a three-minute drought will feel like five or more with in a one-and-done format. Vanderbilt shoots 37.7 percent from three-point range on the season, so long dry spells could be disastrous against a team that can effectively bomb away from the perimeter. 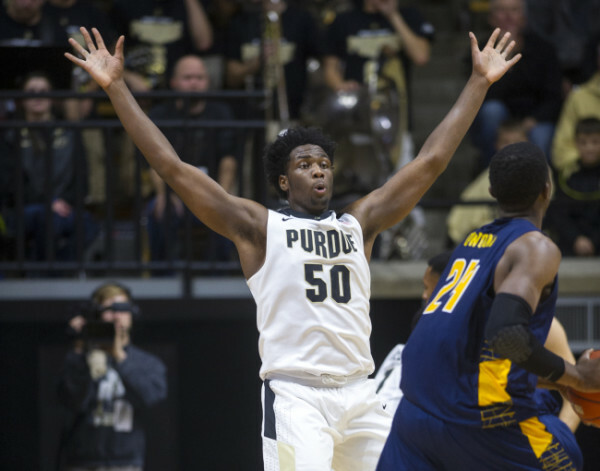 Some played in all the postseason All-Star games as high school seniors while others were a little bit further under the radar, but several Big Ten freshmen shined on the floor during their introductions to college basketball. Here are a few of the league’s “diaper dandies” who made head turns during the first weekend of action. 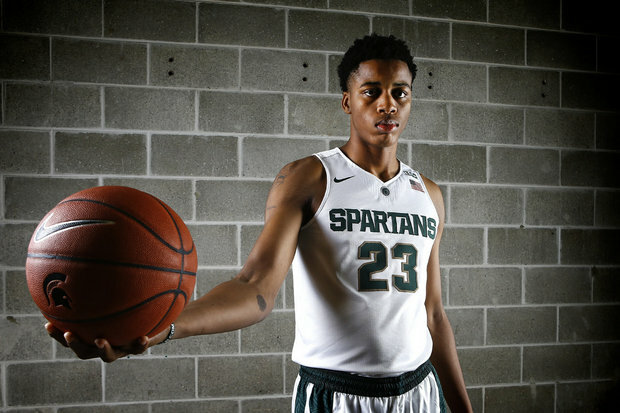 Deyonta Davis and Matt McQuaid, Michigan State: Davis gets lost in the Big Ten shuffle somewhat because of the holy trinity of bigs (Diamond Stone, Caleb Swanigan, and Thomas Bryant) that enter the league this season. All he did in his first game was throw up a 13-point, 11-rebound, five-block showing in which he proved that he too could become a monster down the line. If Davis adds 10 to 15 pounds of muscle during this season or next summer, he will turn into an abject terror. McQuaid, the other Spartans’ freshman to shine over the weekend, is known for his shooting ability but looks like he could become a secondary ball handler off of the bench. He dished out three assists while displaying a poise and court sense that few newcomers readily possess. Is Michigan State Being Overlooked? It was supposed to happen with the group led by Adreian Payne, Gary Harris, and Keith Appling two seasons ago — that was the team that was supposed to end Tom Izzo‘s four-year Final Four ‘drought.’ Instead, that Michigan State squad lost to Connecticut in the Elite Eight and it was his follow-up group — led by leftovers like Denzel Valentine and Travis Trice — that recovered from a shocking early home loss to Texas Southern to play in the season’s final weekend. Most of that team returns this season, and some high-impact newcomers are also on board. Shouldn’t Izzo’s Spartans be ranked higher to start the season? Isn’t another March run a distinct possibility? 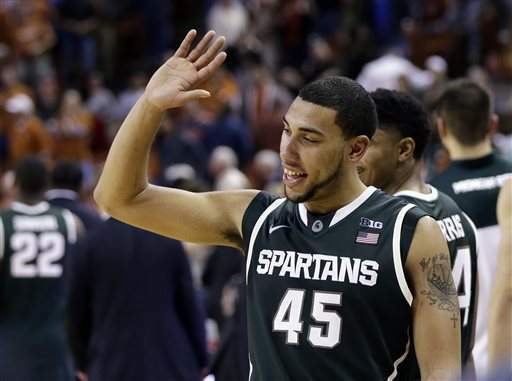 Denzel Valentine will look to lead Michigan State to bigger and better things in his senior season (Getty). Who’s Got Next? is a weekly column by Sean Moran, the RTC recruiting guru. Once a week he will bring you an overview of what’s going on in the complex world of recruiting, from who is signing where among the seniors to discussing the recruitment of the top uncommitted players in the country. We also encourage you to check out his contributions at The Intentional Foul dedicated to recruiting coverage and analysis. You can also follow Sean at his Twitter account @Seanmohoops for up-to-date news from the high school and college hoops scene. If you have any suggestions as to areas we are missing or different things you would like to see, please let us know at rushthecourt@yahoo.com. Michigan State missed out on in-state shooting guard Eric Davis when he announced his commitment to Texas on September 16. 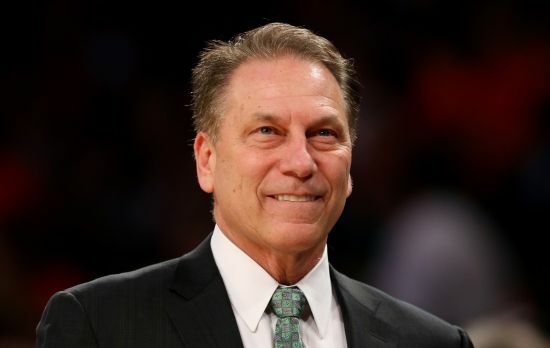 Nine days later Tom Izzo landed 6’5” senior shooting guard Matt McQuaid from Duncanville, Texas, a player who is currently rated No. 72 overall and the No. 23 shooting guard. As a junior, McQuaid committed to SMU before de-committing during the summer to re-open his recruitment. After setting the summer circuit on fire with his hot outside shooting, McQuaid quickly received interest from schools such as Michigan State, Indiana, and Creighton. During the past two AAU seasons, McQuaid built a reputation as a stellar outside shooter. In 2013 he averaged 11.4 points on the Nike EYBL circuit, hitting 58-of-132 threes (43.9%), and this year he increased his scoring average to 15.6 points per game while hitting 45.1 percent of his outside shots. The soon-to be Spartan has range beyond the college three-point line to go along with a high release on his outside shot. While not known for a quick first step, McQuaid is working to improve his ability to attack the basket or find space for his pull-up jumper. Along with improving his quickness, McQuaid will also need to spend some time in the weight room over the next couple of years. Increased strength will certainly be beneficial for him on both sides of the ball to ensure that he does not become a defensive liability in Big Ten action. What was a promising string of recruits for Larry Brown has continued to dwindle as former SMU commit Matt McQuaid announced his commitment to Michigan State yesterday. McQuaid, a four-star shooting guard out of Texas, backed out of his commitment to SMU in late July and also was courted heavily by Indiana, Texas and Creighton. In the end, McQuaid said it was the relationship that he developed with Tom Izzo, cemented by an official visit to East Lansing this past weekend, that led him to commit to play for the Spartans. Michigan State picks up one of the best shooters in the country to add to two other four-star commits in Deyonta Davis and Kyle Ahrens. North Carolina State junior guard Trevor Lacey was arrested last Friday for failing to show up for a court date related to a February speeding ticket. Lacey, who sat out last season after transferring from Alabama (averaging 9.3 points per game while there), was stopped for riding a moped without a helmet a little after midnight, but was arrested for missing an April 4 court date for a February 23 speeding ticket. Lacey is now scheduled to appear in court on Monday for the February ticket and also has a November 13 court date for last Friday’s clinic. While we don’t want to minimize an arrest, this is one that we feel will lead to nothing more than a slap on the wrist from the athletic department. South Carolina has joined a growing list of schools that will offer four-year guaranteed scholarships. The school will reportedly give these scholarships to players in football, men’s and women’s basketball, and women’s tennis and volleyball. Athletes in other sports will have to divide up a predetermined number of four-year guaranteed scholarships with the allocations within each team to be determined by the coach. According to the school these guaranteed scholarships can only be revoked “if the student-athlete 1) decides to leave the team; 2) becomes ineligible; or 3) violates University or athletics department policies.” Although many schools have launched similar programs it is far from universal so we will be interested to see if the schools that do gain any kind of recruiting advantage. One of the most exciting things about the start of each season is waiting to see which player will be ready to make the leap to become a household name. Obviously, some of the incoming freshmen stars will make that leap, but other times it is players who have been around, but now are given the opportunity to shine. Monte Morris could be a prime example of that with DeAndre Kane no longer in Ames. Morris put up an NCAA record with a 4.79 assist-to-turnover ratio as a freshman including 6.9 in Big 12 games so he obviously has the tools to guide the Cyclones. As Dana O’Neill notes Morris also an interesting back story that we think you will hear repeated on telecasts quite a bit this season. Basketball doesn’t lend itself to advanced statistical analysis the way that baseball does due to the nature of the game, but it has come a long way in a relatively short period of time and has gained acceptance by many fans. At this point nearly every baseball fan has heard of Bill James, but we doubt that many have heard of Dean Oliver, who is basically the Bill James of advanced basketball statistical analysis. Even those who know of Oliver are not that familiar with his background, which Adam Rosenfield does a good job of covering in his article on Oliver. We are not sure that we necessarily agree with Oliver that today’s traditional stats will become extinct as we believe the more useful ones will survive and be used with the similarly useful advanced metrics.